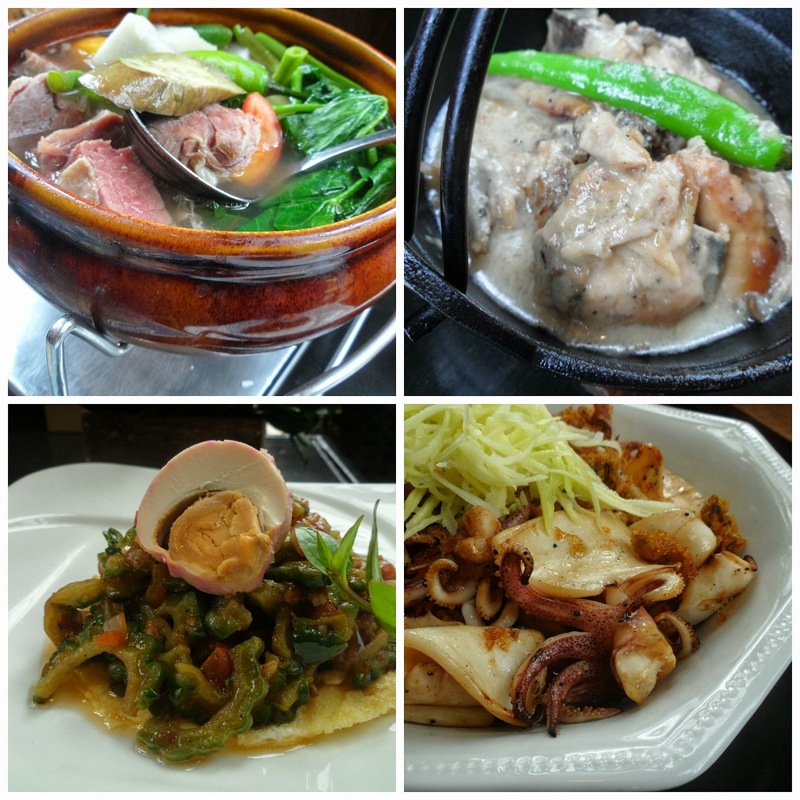 Lunch yesterday was at Sentro 1771 in Serendra. The restaurant has an array of mouth-watering Filipino dishes to offer including its famous Sinigang na Corned Beef that began the Filipino Cuisine evolution from traditional to modern. We dined at the Serendra branch yesterday to check out the new dishes on the menu and also got to meet Chef Vicky Pacheco. Wow! 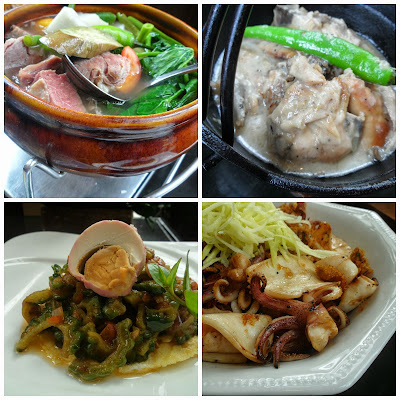 "In 2002, Sentro 1771 exploded on the local culinary scene with its original Modern Filipino Cuisine. Executive Chef Vicky Pacheco brought Filipino Cuisine to the net level by presenting local dishes in a chic and elegant setting, combining Swiss and French techniques with familiar Filipino flavors. People lined up outside to get a taste of her famous Corned Beef Sinigang. Sentro 1771's Modern Filipino Cuisine fired up the imagination of chef's around the country and started a new trend in contemporary Filipino restaurants." 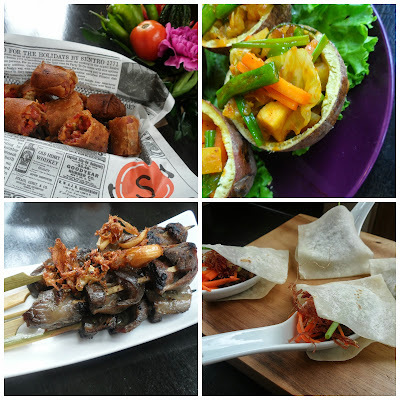 Today, Chef Vicky continues to innovate with Sentro 1771's new menu. The extensive menu includes compelling choices from its Pica-Pica, Spring Rolls, Inihaw and Iba't Ibang Adobo. Macau Chorizo and Cheese Tidbits, P240. This is so good! I am not really fond of chorizo but this is an exception. Size is good for sharing. I'll be happy to eat this with rice, too. Camote Cups, P240. This is lumpiang- hubad in camote cups. But don't be fooled by the cups because it is filled from top to bottom. It comes with lumpia sauce with minced garlic. For sharing also. This dish reminded me of my mother's lumpiang- hubad. B2B Sticks, P150. Grilled gizzards- cooked adobo style. A classy take on Pinoy Streetfood. Duck Pancakes, P170. Native duck strips in Peking wraps. Yum! Sinigang na Corned Beef, P595. This is so g-o-o-d! Luckily, it was a sinigang-weather yesterday so this hot and flavorful soup was very much appreciated as it warmed my tummy. Hefty serving, too (2-3 pax). Chicken Adobo sa Gata, P250. Another superb dish. Think of me as strange but I am not fond of eating adobo nor can I cook it but Chef Vicky inspired me to give adobo another try and cook it at home. The meat is so tender it falls off the bone, and the gata made the sauce rich and flavorful. Two-Egg Ampalaya Crepe, P150. This dish reminded me to eat my veggies so that I can move on to dessert! ;) Seafood Bagoong Rice, P530. OMG. Its really a big serving, good for 3-4 pax but it was so good that I am confident of finishing it all by my lonesome. This is a meal by itself also because of the generous seafood toppings. Two thumbs up.